Heavy with snow, a large tree fell during the storm Thursday night, landing on two parked cars and leaving significant damage. Miraculously, no one was walking under the tree when it fell. 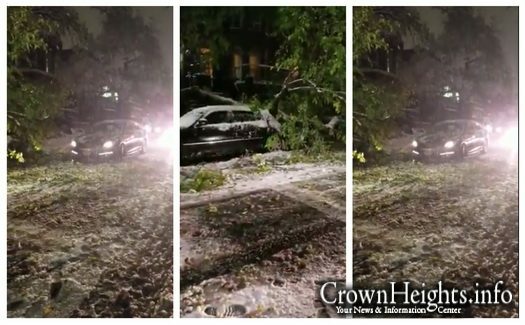 During the storm, a large tree, heavy with snow, fell across a sidewalk and two parked cars Thursday night. 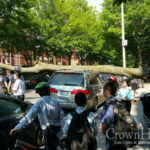 The incident occurred on Brooklyn Ave and the corner of Crown St, when passers by report they heard a loud noise and found the tree down on the cars. Two cars were damaged from the incident, but miraculously no one was walking under the tree at the time. One car, a Hyundai Sonata, had significant damage to the roof, while the other, a Lincoln Town car, had damage to its trunk area. 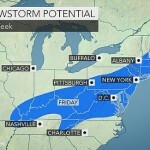 The storm, this seasons first snow storm, was forecasted to be a wintery mix of snow, sleet, and rain. It did not disappoint, snarling the streets of Crown Heights and creating very bad driving conditions. Be careful where you park. If someone’s tree falls on your car it’s 100% your problem.